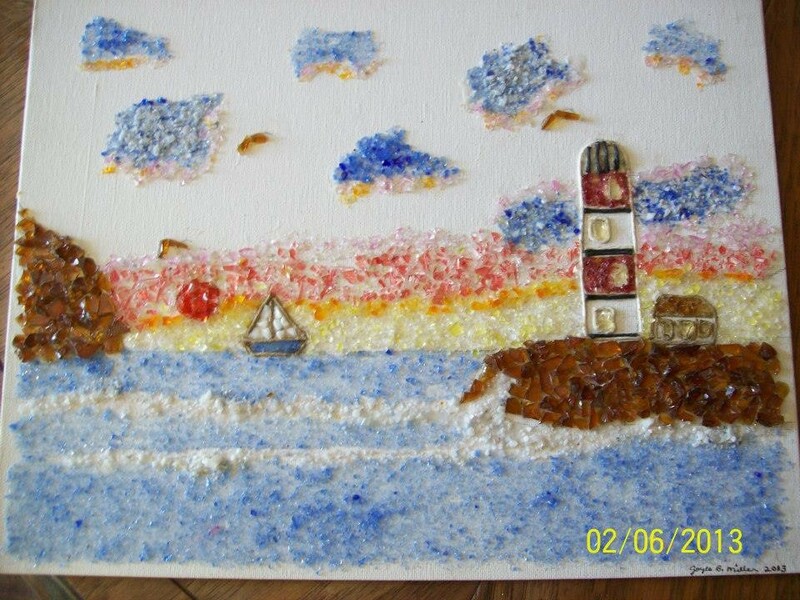 This picture is made of recycled colored glass It is broken up in different textures of glass. Use a sifter to make powered glass, etc. 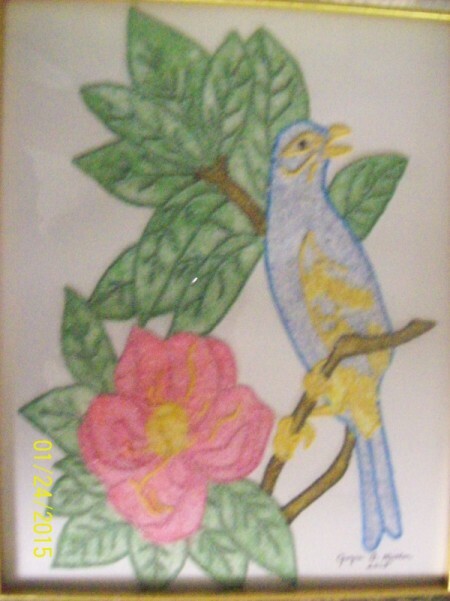 The pictures are drawn out on white poster paper and outlined with colored braiding cord. 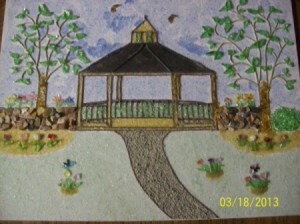 Then they are filled in with the colored glass that is glued in with craft glue. 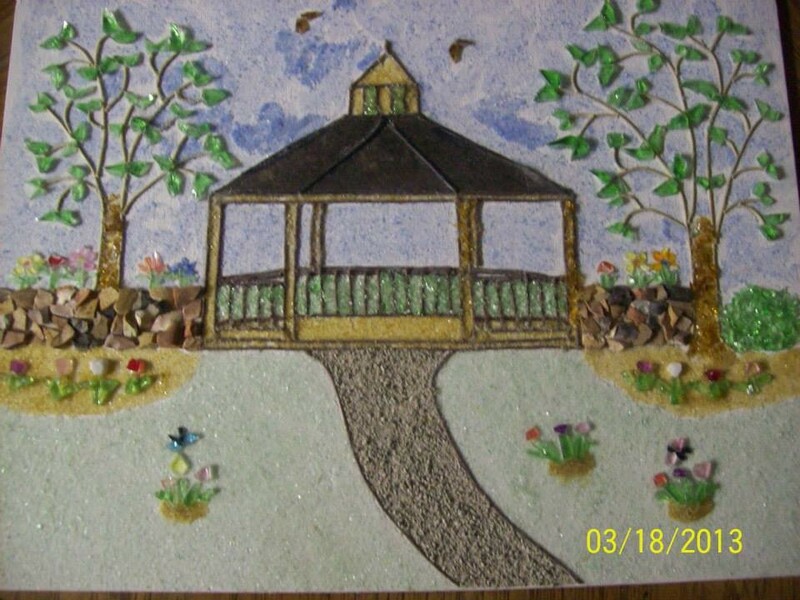 Use craft glue to outline drawing. Outline drawing with colored braiding cord. 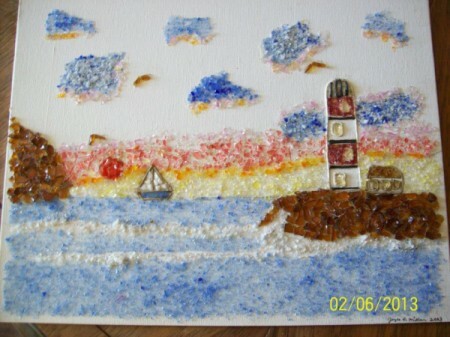 Use craft glue and fill in with colored glass. Brush off picture with a makeup brush and fill in with more colored glass if needed.